This was the old build from my hard top - clearly not very "wobble top" compatable! 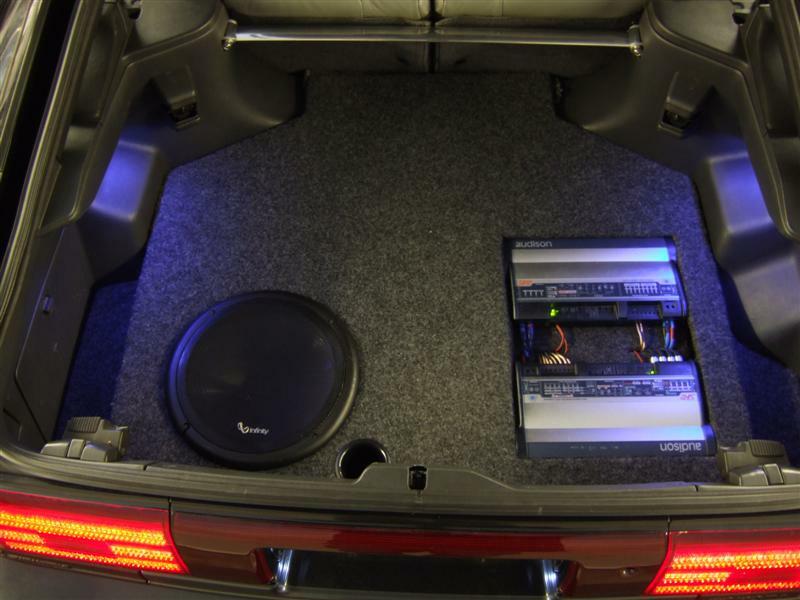 I needed room to house the 12" Kappa sub, the separate amps and a few other widgets I'll be incorporating in the future. First stop was a new system controller. 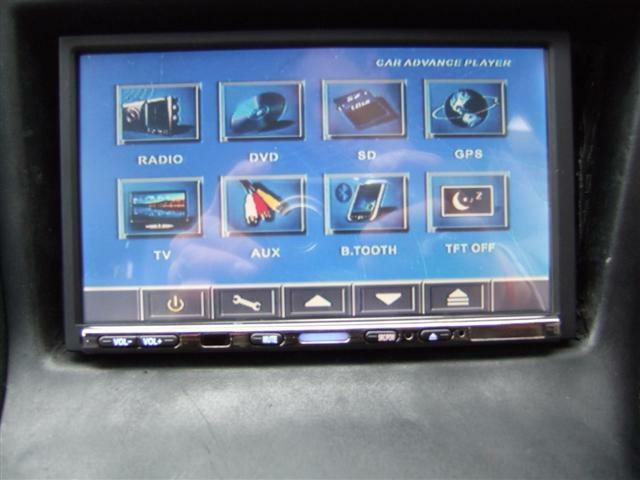 Things have come on a long way now so, to save space and do away with the need for disk changers, TV tuners, TV controllers, car handsfree etc etc I opted for one of these "do everything" double din units. This thing saves titting about with a number of separate systems and combines them in a resonably priced unit. With a 10GB SD card fitted CD's are also a thing of the past - gaining me back my glove box too!! It incorporates controll for 2 other screens and also a reverse camera, if that ain't enough it's dolby digital surround with a proper SPDIF output - craziness! No, it's not the same sort of quality I'm used to with my Pioneer stuff however, it's 1/4 of the price!! 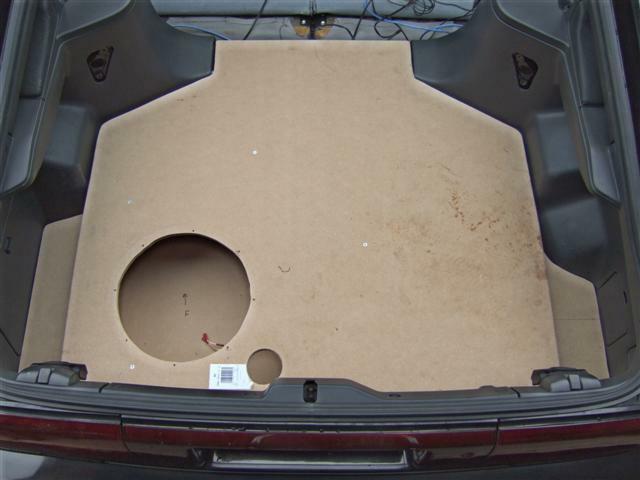 The biggest problem wobble top owners face when putting a trunk build together is where to put the sub box, this is because the roof sits in brackets half way down the trunk - rendering a normal box useless. The solution - ditch the spare wheel for a can of inflator goo which goes in the left hand trunk flap and some AA rescue coverage - free with my bank account! This gives a gaping great hole you can form a box into. 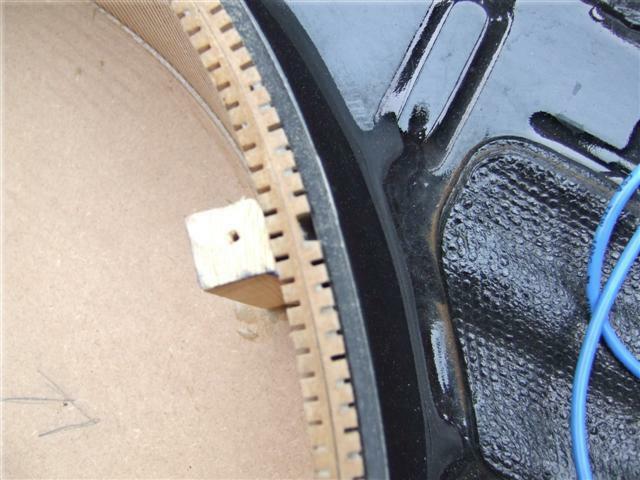 I removed the wheel fixing bracket and linned the base of the wheel well with think rubber to deaden the sound, then cut an MDF plate to fit into the hole. Next I formed a frame around this plate and solved the problem of making a round box by using bendy MDF. Because bendy MDF is thin, I double layerd the stuff gluing the 2 layers tightly together, the 5 supports around the sides also double up as fixings for the top part of the build to bolt down onto, the box sealing against the top part with foam rubber seals. 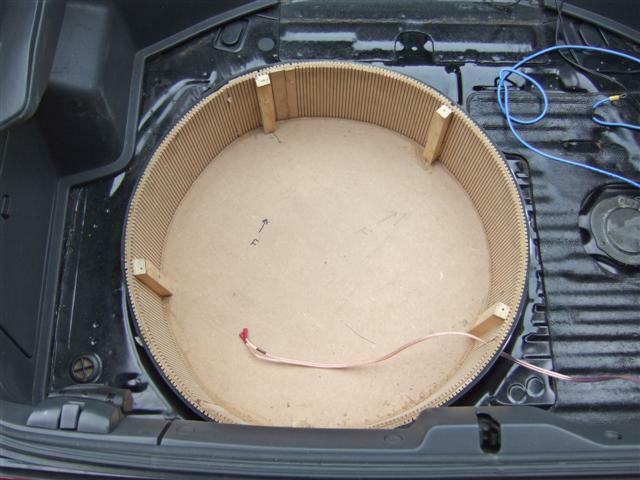 The result was a box which fitted snugly into the wheel well and was more than big enough to provide the correct volume for my sub to work. Next came the hard part - forming a cover piece to fit on top of this box which fitted the shape of the trunk plastics. I started buy making a square template which fitted in the centre of the trunk, from there I made further templates, trimming them to the curves. Once the template was complete I transfered that to a bit of MDF and got going with the jig saw collecting much of the saw dust in my silly hair cut. I formed the round box so the depth was level with the cross member behind the seats - with the top section fitted this gives a void to the right hand side of the build where I can easily fit all the running gear underneath & forms a flat trunk floor. A couple of infill panels each side allow continued use of the access flaps & make best use of space. 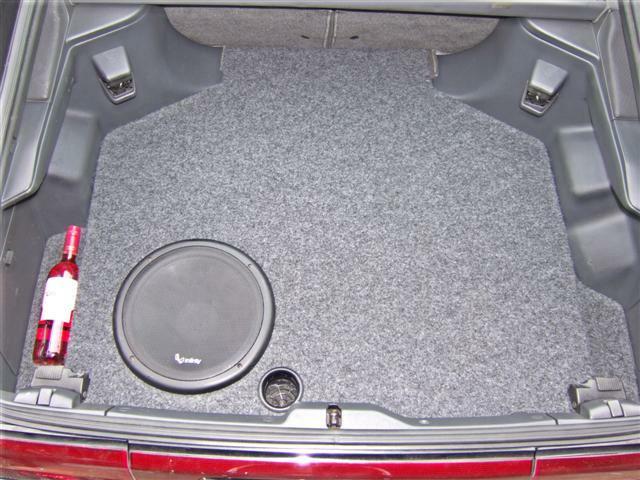 Some spray glue later and fluffy fingers all is carpeted, sub fitted with reflex port and amp mounted to the under side of the "new" trunk floor. 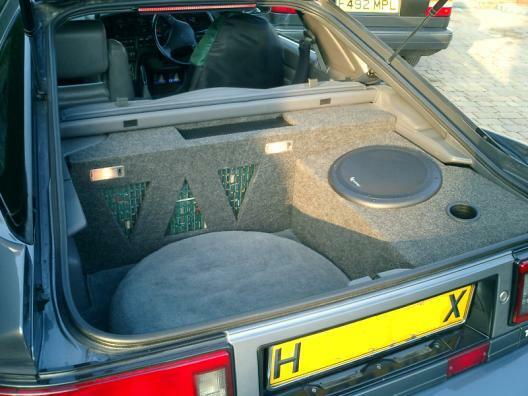 The bass is fantastic, rich and deep, the Kappa sub benefitting from such a large enclosure. The rubber lining also does it's job perfectly insulating the outside world from the mayhem inside! All is a snug fit & like the build in my MA70, just sits firmly in place without the need to screw into the trims etc.